Yet to be listed, but available online from Obscureco for US$23.00. 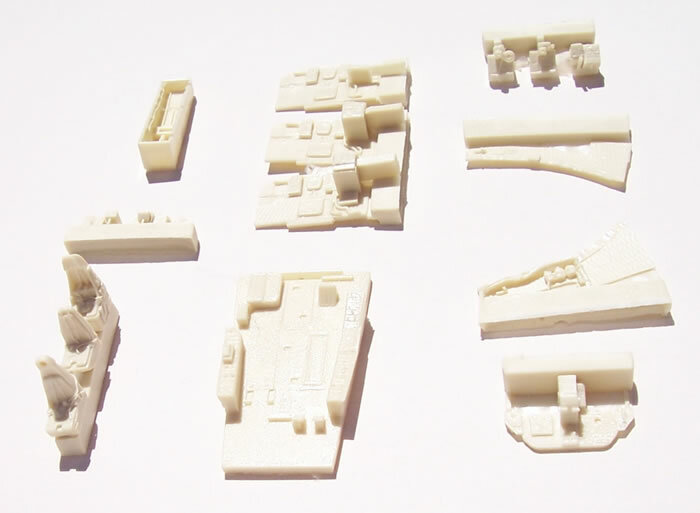 High quality components and comprehensive instructions, well researched and covers several versions. None readily apparent, although the tightly folded instructions may need ironing! Well searched, several options, very thorough instructions and good quality components. 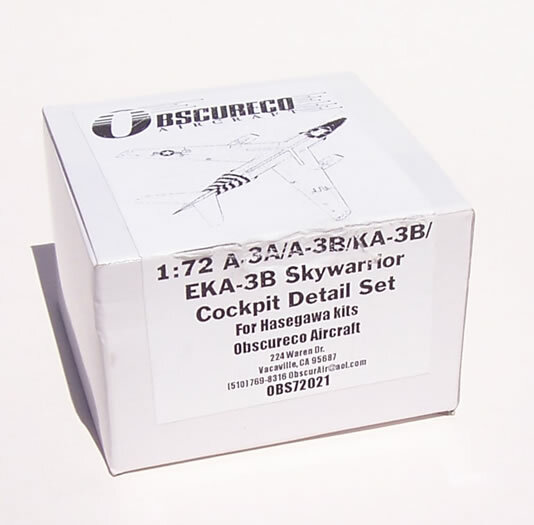 Obscureco has been offering good quality conversion, enhancement, detail and correction sets in for 1/72 and 1/48 scale aircraft for some time. A glance at their product list shows that these are quite diverse in coverage and well thought out in terms of subject matter. Hasegawa’s A-3 Skywarrior kits are typical of the brand’s products over the past ten years or so. 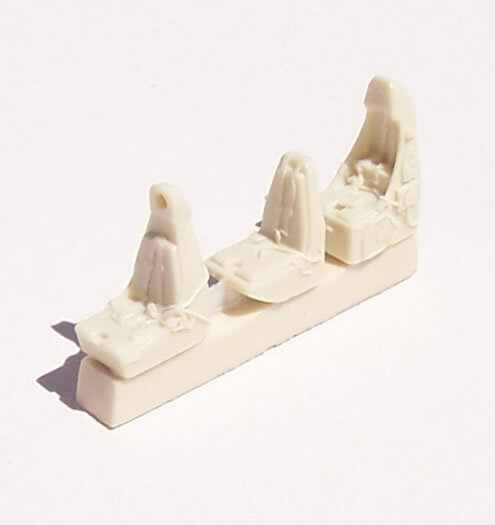 Good quality, delicate surface detail, few accuracy complaints, and offered in several versions; but perhaps rather basic in the cockpit. 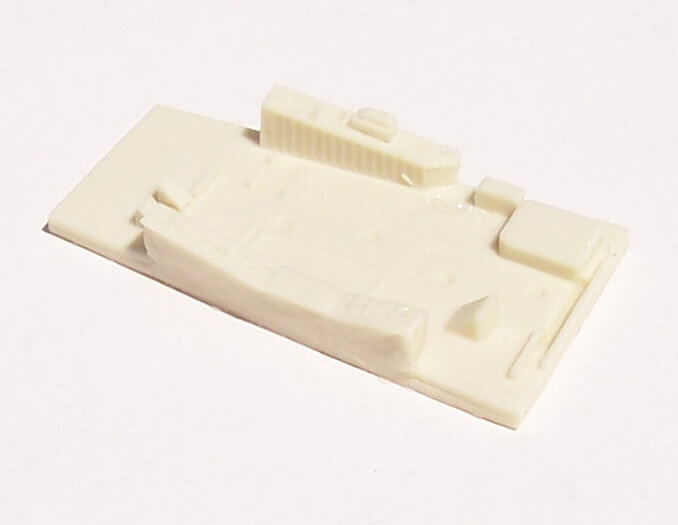 Obscureco have taken the opportunity to fill this large flight-deck with some enhanced detail. Fortunately the size of the canopy means much of this be readily visible. The set comes in a small cubed card box typical of Obscureco’s more involved sets. Within this tightly packed box are a zip-lock bag of resin parts and two-pages of instructions. 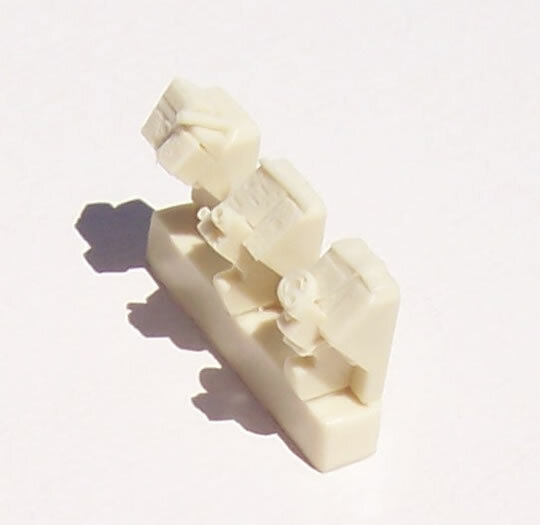 The set provides three detailed crew seats, cockpit floor with consoles, sidewalls, instrument panel and a nose wheel-well. In addition there are three different rear bulkheads, two styles of avionics shelves and three sets of gear for the bombardier/navigator. These choices provide for the various A-3 options covered by the set. 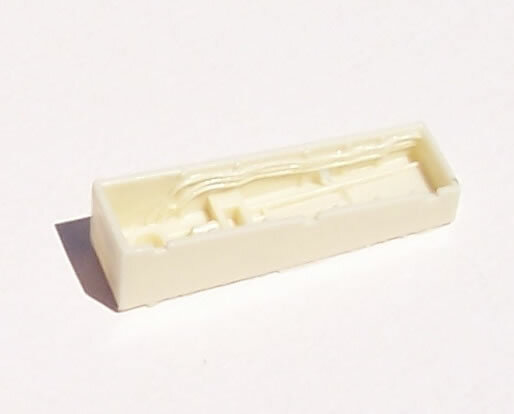 The resin is cast to the highest standards with no obvious flaws and easily removed casting blocks. The instructions have multiple folds and in turn are curled up within the small box. This makes sense in terms of keeping packaging small and serves to protect the resin components. However it also makes for some very crumpled pages which are a matter of nuisance value rather than a substantive failing. 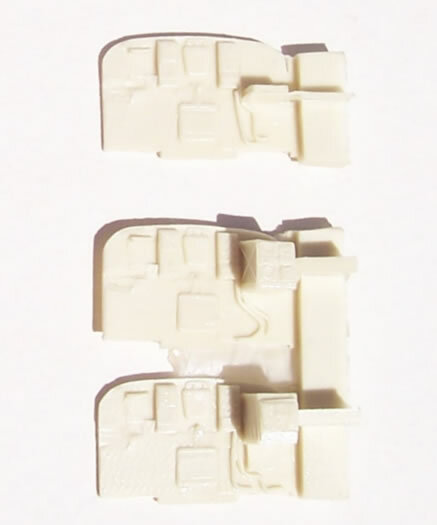 The instructions provide a very easy to follow parts map with a clear indication of which parts should be used with which version of A-3. They go on to provide a step by step guide to assembly that is far more thorough and comprehensive than most other brands. 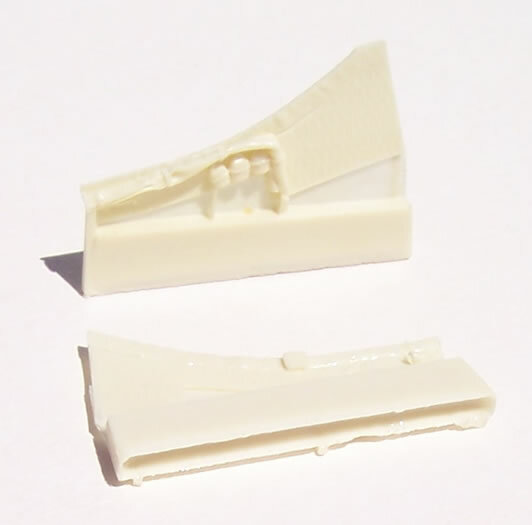 The instructions also give a good painting guide for the various parts, plus they direct the modeler to Obscureco’s web-site reference section for more precise colour information. Unfortunately I was unable to find a reference section at the web-site. However this review set is not yet listed either, so maybe the reference section will be added in due course. A good idea if it’s implemented. 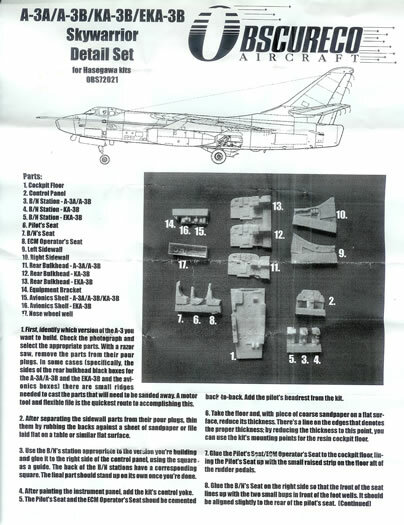 The instructions also list various references and after-market decals for the A-3. All in all the instructions are a very thorough and comprehensive guide that indicates a considerable amount of research has gone into the set’s design. The benefits of which outweigh their being somewhat crumpled up. 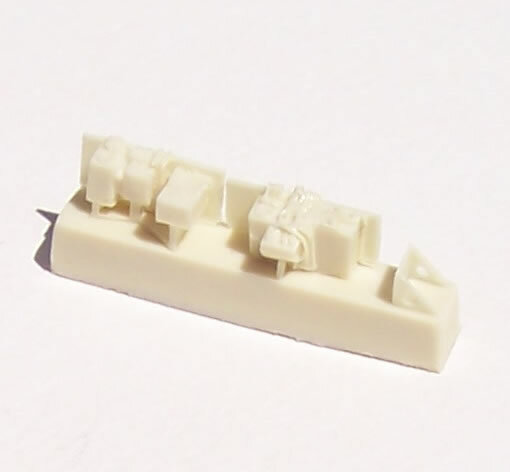 This is a very well researched and produced cockpit set that will provide some much needed enhancement to the Hasegawa A-3’s cockpit (and nose-wheel bay) - Highly Recommended. So well done Chris, now how about a B-66 cockpit for the Italeri kit? Thanks to Obscureco for the review samples.